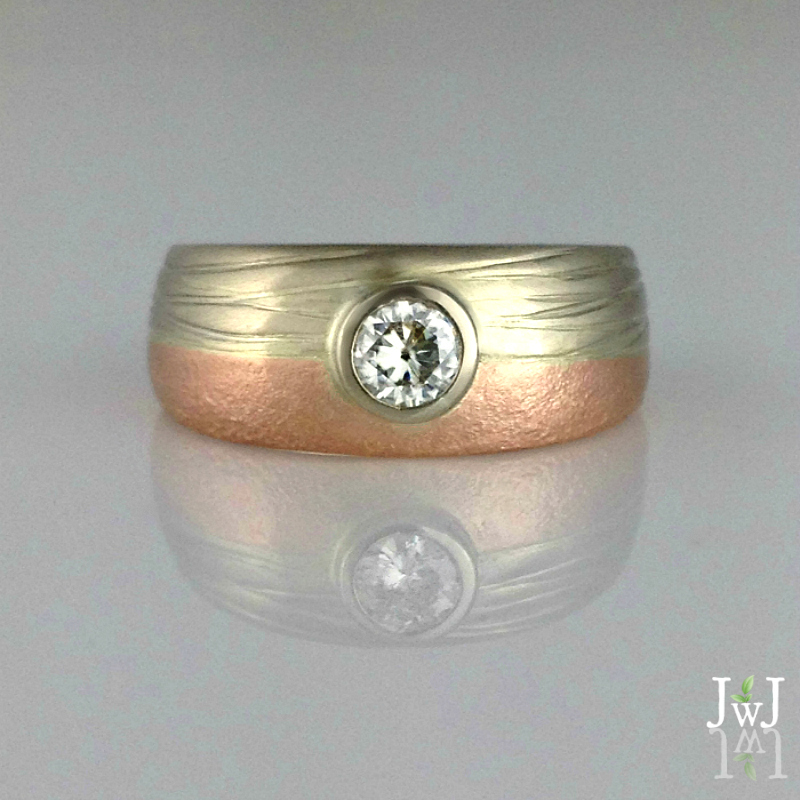 Ocean-inspired 14kt rose and white gold engagement ring with a bezel set Diamond. Carved ocean waves and sand texture. Sand and Sea Diamond Red Shore Ring.